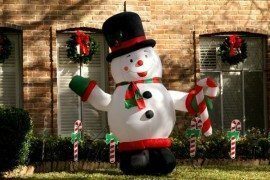 Most of us tend to put off decorating for Christmas till the last possible weekend before the big week. 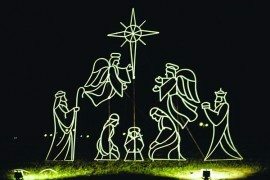 That is unless you have enthusiastic little kids in the house who wish to see the lights put up pretty much two or three weeks well in advance! 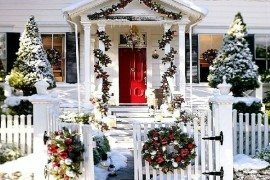 Decorating the outdoors is as important as creating beautiful Christmas-themed indoors and it all starts with the front door. 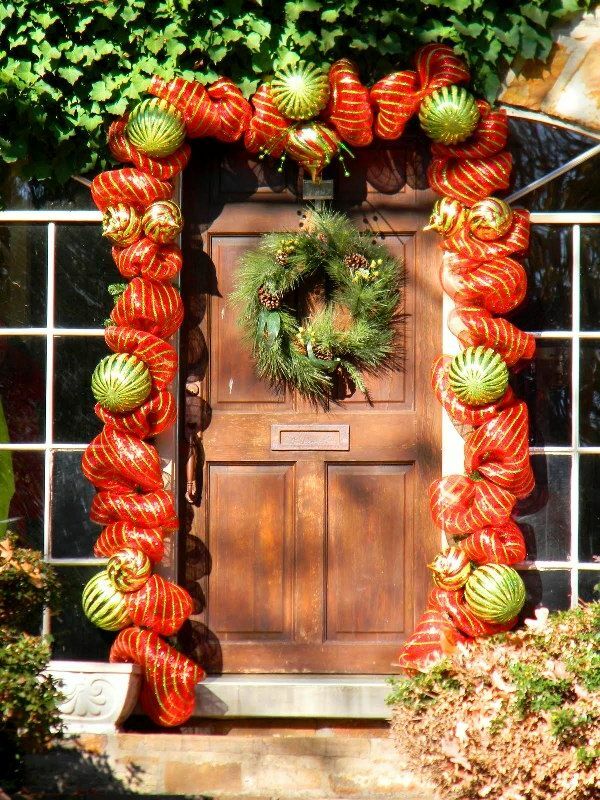 As Thanksgiving just waves goodbye and Christmas is all set to greet you with a festive smile, here are some creative suggestions for the front door that welcome the holiday season in scintillating style and with plenty of oomph. 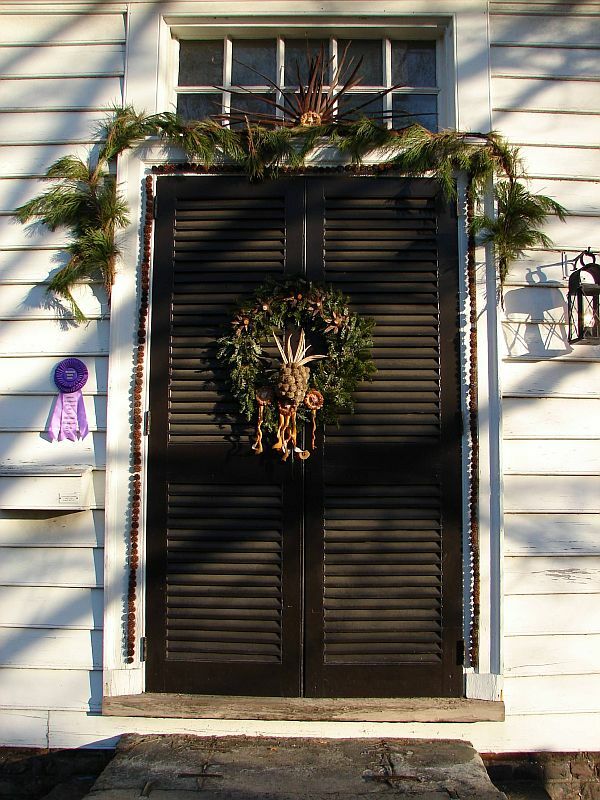 Wreaths are most definitely the best way to decorate the front door with some festive spirit. 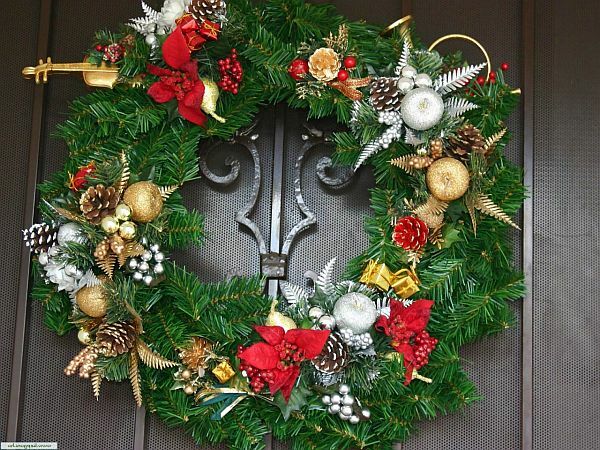 Different varieties of wreaths come into mind when you think about the Christmas and its jolly decorating style. 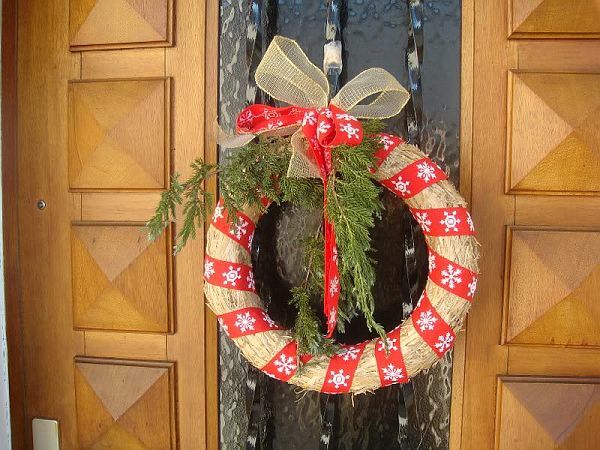 Unique wreaths that feature candy-cane, beautiful Christmas ball wreath, recycled and planet-friendly wreaths that are crafted from old Thanksgiving ones and cloth wreaths are some of the hot options that always seem trendy. 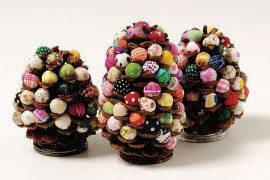 Complement these by pasting bows and holiday stickers and hang a Christmas stocking adorned with twigs and cinnamon sticks to bring inimitable flavor to your front door. Place a smart, potted Christmas tree on the top step of the entrance and surround it with some lovely bells and Christmas ornaments to usher in the festive look. 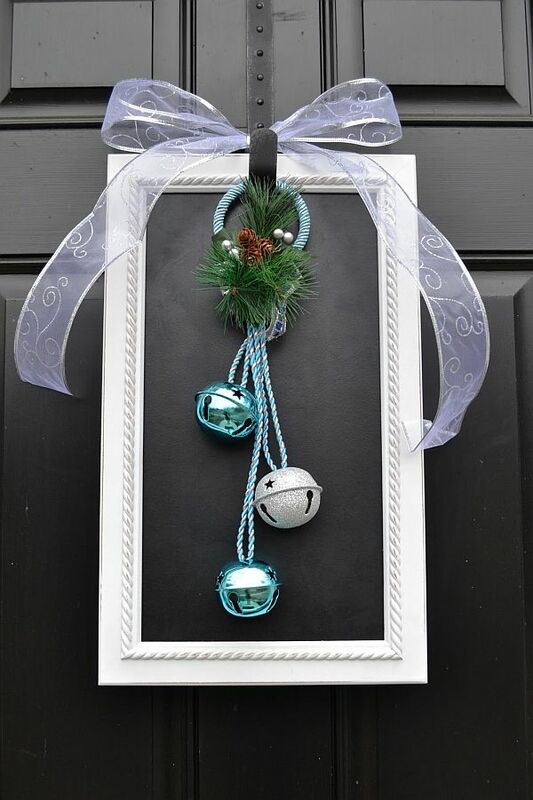 Frosted glass baubles, artificial snow and some snowflakes are great additions in case you love a white Christmas look. A casually placed old sleigh in the front yard or even ice skates accentuates this style further. 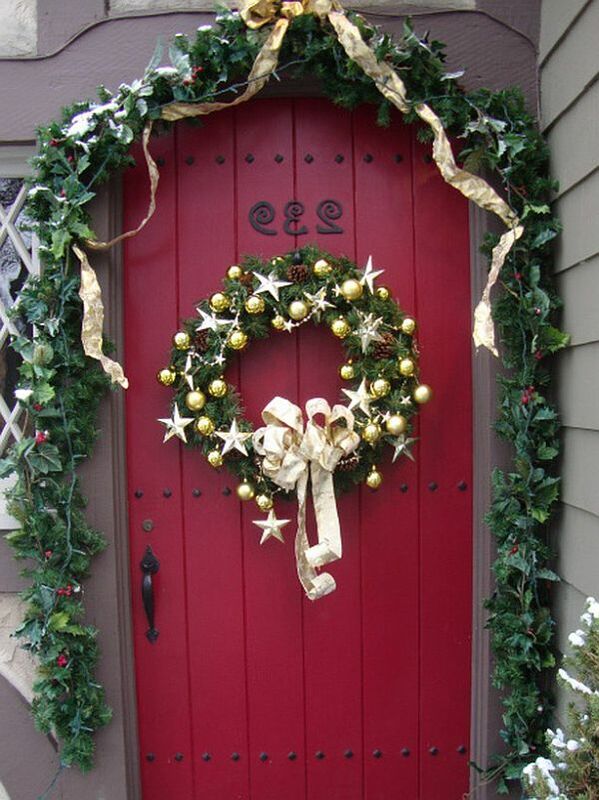 Having a banner or bubble letters that scream out “Merry Christmas” on the door top is obviously an absolute must. 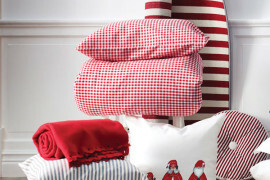 Christmas is one time of the year when over the top looks far more appealing than understated elegance. 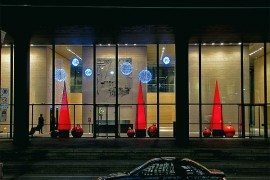 Do not worry about trying to match the front door decorations with the contemporary style of your house. 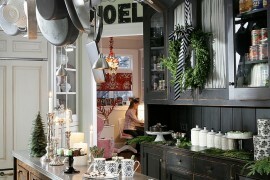 A sparkling and vivacious theme with traditional Christmas colors looks equally good and appropriate as well. Combine this with dazzling lighting and you are all set to welcome home season’s festivities in a grand style!